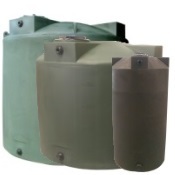 Double wall containment tanks add protection against tank failure. 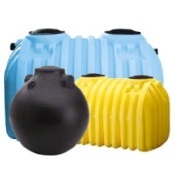 In the past, tanks have been kept inside concrete containment pits to accomplish containment in the event of a tank or tank fitting failure. 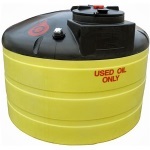 This was not a satisfactory solution because the pits limit placement of tanks and are quite expensive to construct. 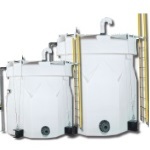 By eliminating the construction expense of containment pits and affording ease of relocation, double wall tanks have become the standard for storage of chemicals. 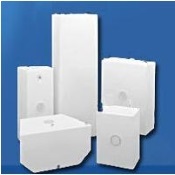 Double wall containment also aids in saving expensive chemicals in the event of a catastrophic failure. Unlike an old fashioned containment pit, Double wall chemical storage tanks keep debris and rainwater from entering the containment area. If a tank fails, the chemical will not be tainted, as it would be in a pit. 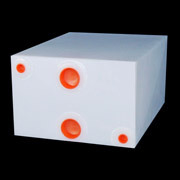 This design is the best and most economical solution for any chemical storage application. 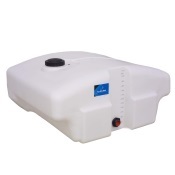 Keeping out unwanted debris, containing all of the chemical product in the event of a tank or fitting failure, the ability to relocate tanks, and a wide variety of available fittings and accessories make double walled tanks the only logical choice. 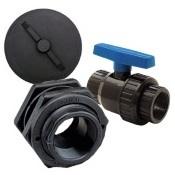 Tank-Depot.com offers more standard sizes to choose from than any supplier in the world. 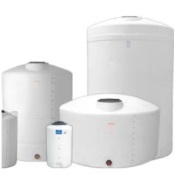 An authorized vendor for Chem-Tainer Industries, Snyder Industries – Captor Series Tanks and Rotonics, America’s premier double wall tank manufacturers, Tank-Depot guarantees the lowest prices available anywhere.